Need A Last-Minute Gift? 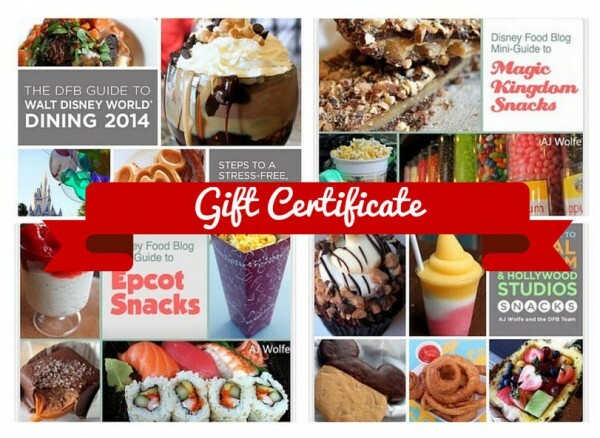 Disney Food Blog Dining Guide Gift Certificates Now Available! 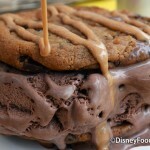 Our popular Disney Food Blog Guide to Walt Disney World Dining and full line of DFB e-Books make great gifts for friends or family members planning a trip to Walt Disney World! 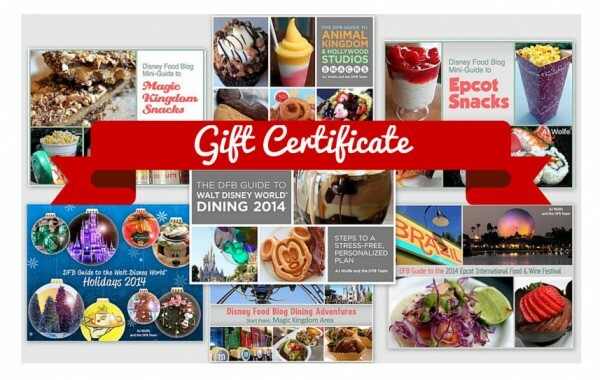 Give the Gift of Delicious Fun This Year with DFB e-Book Gift Certificates! 2. Either print & give the details to the recipient, OR email the details to the lucky Disney fan! Don’t let your friends and family go to Disney World unprepared. These e-books will ensure that your loved ones will get the biggest bang for their dining buck in Walt Disney World! Looking forward to your best ever 2015 Disney trip? It’s yours! Pre-Order the 2015 DFB Guide to Walt Disney World Dining today and use promo code SANTA for $5 off! Time to cross those final names off of your shopping list…and no need to fight for a parking space while you’re at it! 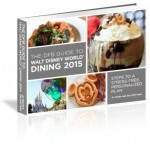 Pre-Order the 2015 DFB Guide to Walt Disney World Dining and Enjoy $5 Off! We know that when it comes to your Disney vacays, planning ahead is practically essential these days. And if you can save time and money in the process — even better! And that’s why today, when you pre-order the 2015 DFB Guide to Walt Disney World Dining and enter promo code SANTA, you’ll save $5 off of the already low cover price! But the really cool part? This is a two-for-one deal! We’ll deliver the 2014 Guide to you immediately, and automatically email you the 2015 guide in late January 2015. PRE ORDER NOW! Give…and SAVE…Even More with DFB Bundle Gift Certificates! One book isn’t enough for the Disney fan in your life? We totally get it. That’s why we have a gift certificates for our super-saver Bundles as well! Or give our four most popular DFB Guidebooks for $6 off the already discounted bundle price with code LASTMINUTE! Deal! 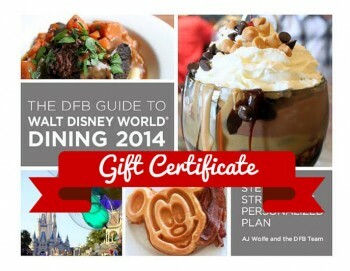 Get 50% Off the DFB Guide to Walt Disney World Dining 2015 Pre-Order for ONE MORE WEEK! Celebrate (or Recover From!) Tax Day with Our Biggest Savings of the Year! Save 40% on EVERYTHING in the DFB Store with Our Memorial Day Sale! Limited Time! 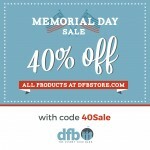 : Save 40% Off of the Entire DFB Store With Our Memorial Day Sale! Save 35% Off the Entire DFB Store With Our Epcot 35th Anniversary Sale!